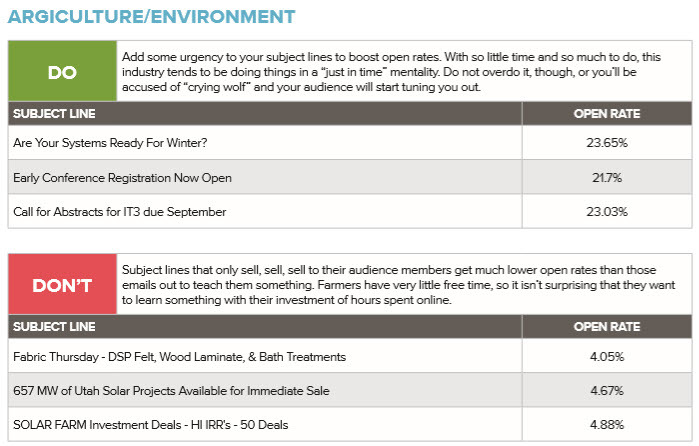 ← The Ultimate Subject Line Guide. 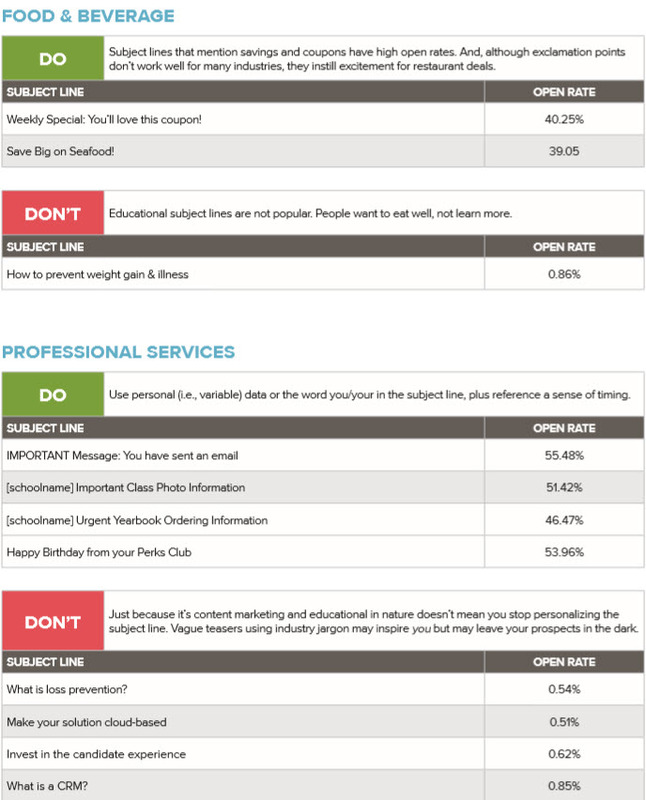 Part 3 – Subject Line Writing Tips. Did you know 47% of email recipients open email based on the subject line whereas 69% of email recipients report email as spam based solely on the subject line. Emails with no subject all together have an open rate of 8% more than those with a subject line, whereas e-mails with personalized subject lines are 22% more likely to be opened. Last time we discussed Subject Line Writing Tips. This time we look at Words That Work and Opt-in Messages. 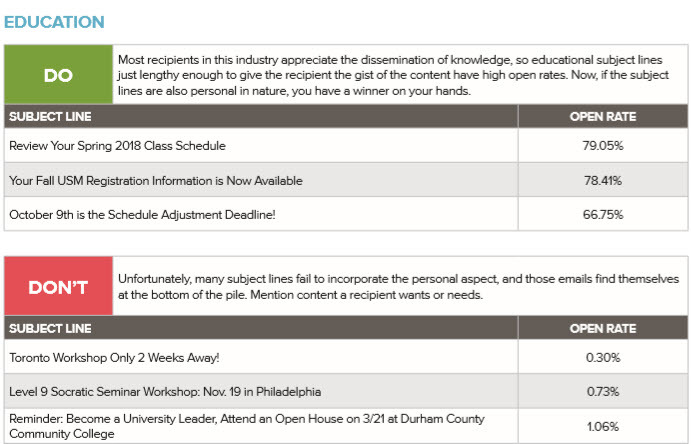 When looking at subject lines that received an 80% or higher open rate (across all industries), we found that a significant/common element was the use of a single declarative word or instructional phrase, followed by a colon, and then followed by the rest of the sender’s subject line text. People don’t like being yelled at — especially in a way that’s vague and impersonal. 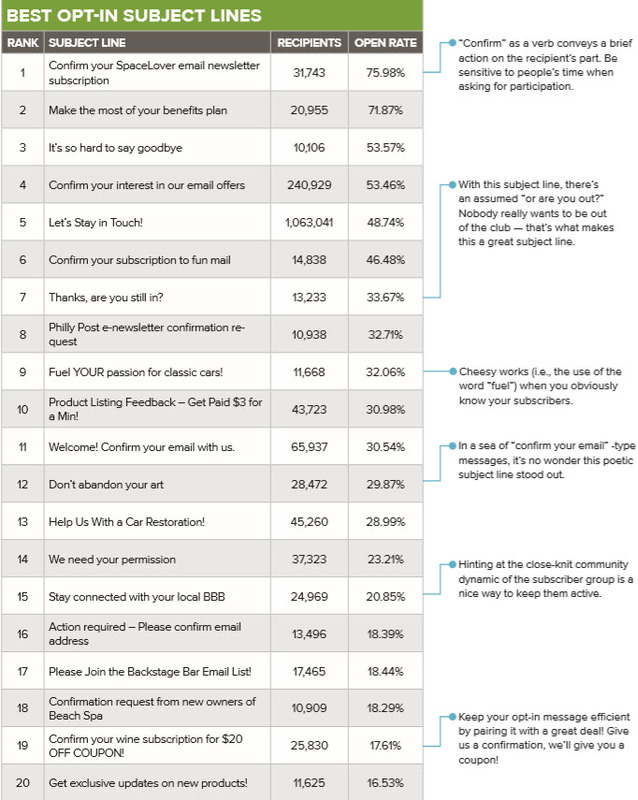 It’s easy to forget the fact you need subscribers to double opt-in for YOUR benefit, but what’s in it for them? 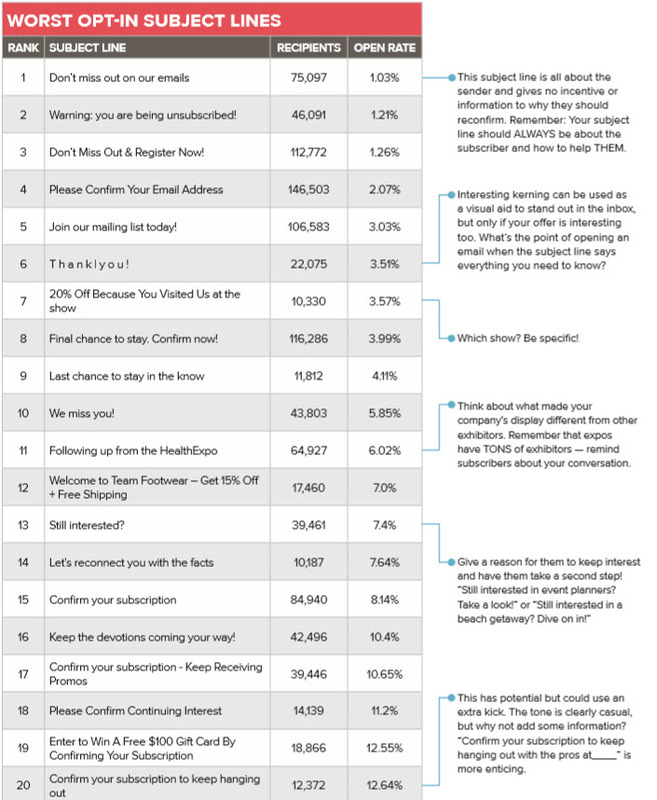 Make subscribers want to STAY on your list even after sign-up; don’t threaten them. 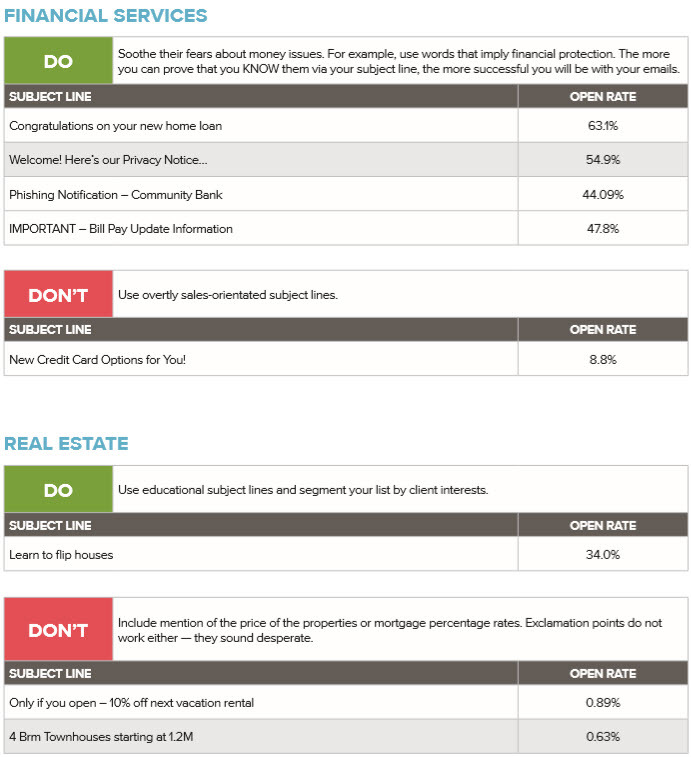 In the worst examples, you’ll notice that not much separates the text used in successful opt-in subject lines as opposed to what’s being said in a low-performing one. The major difference is likely the contact’s high opinion of the brand and whether they want to stay an active customer or not. 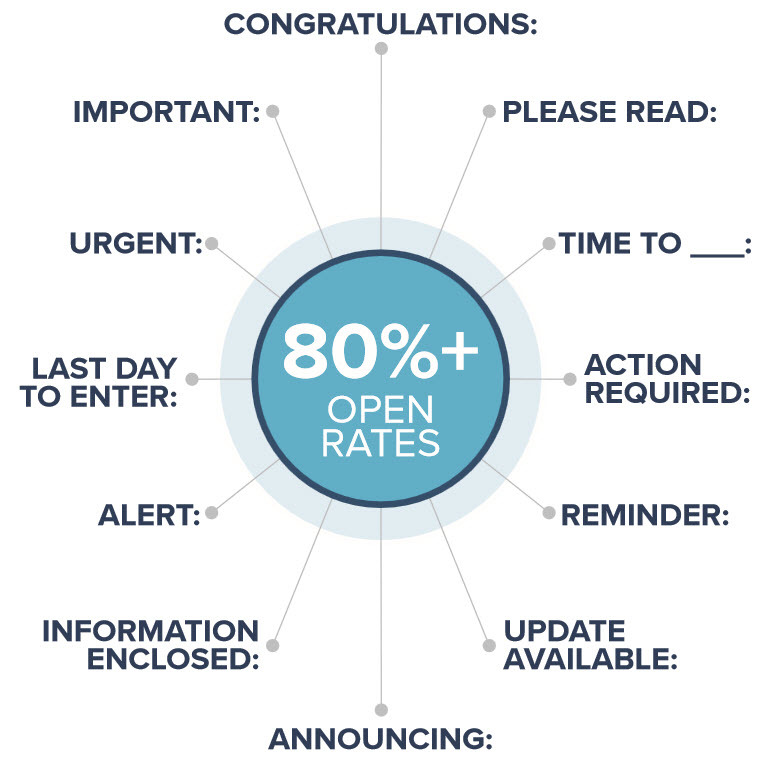 This is, consequently, why inbox providers and email service providers encourage clients to utilize the power of opt-in messages. The commitment shown via the action of an opt-in often helps to satisfy many email privacy regulations, such as GDPR, CAN-SPAM, CASL, etc. If you ask if it matters what day a message is sent (i.e., does a Tuesday increase the possibility for an open, or click, more than a Friday) — they’d say, “It just depends on your audience and industry.” Email marketers hate that answer because we’re all looking for that silver bullet to conversions. After trudging through thousands of subject lines, we’ve concluded that the length of your subject lines, in terms of how many characters you use, doesn’t appear to lead to a significantly higher or lower open rate. Now with that said, certain ISPs, such as Gmail and Yahoo, may favor a certain character count, but truly engaged contacts do not. A good rule of thumb is to keep your subject line length to between 61-70 text characters. A word about list size: It is progressively harder to get a higher open rate on a large list size. The more people you add to a list — all of whom are receiving the same subject line — the harder time you’ll have finding a subject line that wins EVERYONE over. Which is why, when you discover a really good subject line that does appeal to a wide range of subscribers, that’s worth its weight in lead gen gold. How homogenous is your list? If your subscribers are very diverse, you may need to seriously consider segmenting them into smaller lists. Next time we will discuss A/B Testing vs. 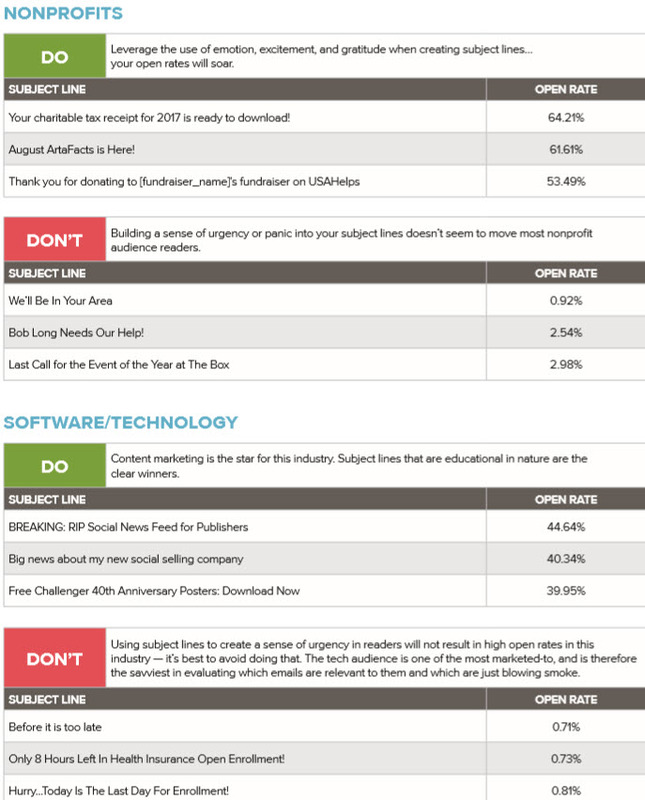 When to Segment and Autoresponder Messages. This entry was posted in Research Findings. Bookmark the permalink.